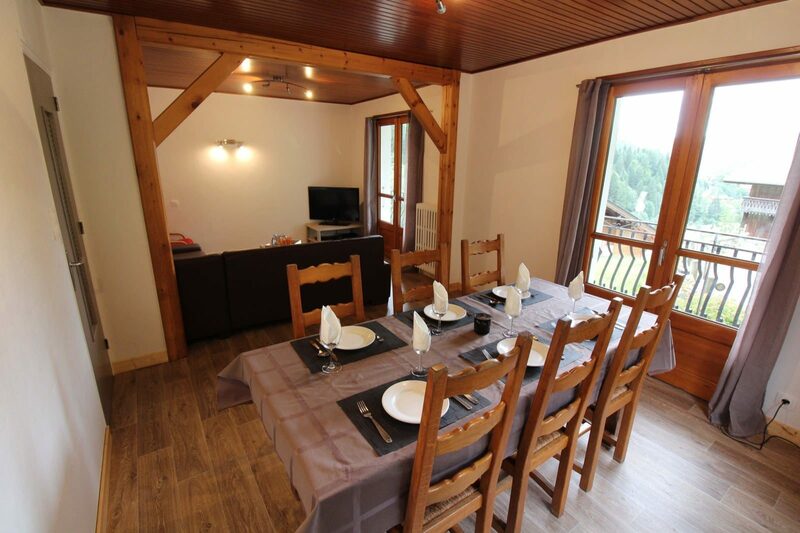 Apartment two is in a quiet and tranquil location with beautiful mountain views. The ski lifts, local amenities, shops, bars and restaurants are all within a seven minutes walk. This recently renovated apartment offers a huge lounge-diner with a large comfy corner sofa and a flat screen TV with UK Free-sat. 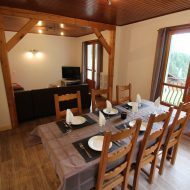 It opens out directly onto a large balcony that give you beautiful views of the mountains and pistes. The fully equipped kitchen has a fridge/freezer, oven, 4-ring induction hob, microwave, dish washer and a large dining table seating six. Of the two bathrooms, one is en-suite. There are three large bedrooms, (all with balconies and views of the surrounding mountains), which can be made as either twin or double rooms.